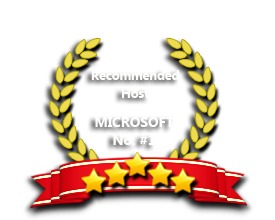 ASPHostPortal is the leading provider of Windows hosting and affordable Umbraco 7.4.1 Hosting. Our price starts from $4.49 per month. Umbraco 7.4.1 is a bug fix release on 7.4.0. Over 125,000 websites are built on the Umbraco CMS platform including hotels, magazines and publishers, corporations and enterprizes, consumer products, events, law firms, universities and community sites world-wide. Umbraco has been designed to make you as productive as possible. This means it’s fast, beautiful and easy to use so you can focus on getting your message out to your peers, not how the technology works. Umbraco automatically scales your photos, lets you do cropping with a single click and makes your shots responsive too. All of our Windows hosting plan supports Umbraco 7.4.1 and customers can install it with just one click. Our support team is extremely fast and can help you with setting up and using Umbraco 7.4.1 on your account. Our customer support will help you 24 hours a day, 7 days a week and 365 days a year. Our Windows Cloud Hosting fully supports Umbraco 7.4.1 hosting. You are more than welcome to try our Free Windows Cloud Hosting before you decide to buy. You can get your Free Cloud Windows hosting account up and running within the next few minutes.